Starring Carrie Hope Fletcher, Heathers was based on the cult ‘80s film starring Christian Slater and Winona Ryder which tells the story of a schoolgirl called Veronica looking to break away from her group of cliquey friends, all three of whom are called Heather. The Other Palace’s production enjoyed a successful West End run at the Theatre Royal Haymarket in London closing in November 2018! With music and lyrics by Kevin Murphy and Laurence O’Keefe, whose previous credits include Legally Blonde: The Musical and Bat Boy: The Musical, Heathers includes the songs “Beautiful”, “Seventeen”, “Candy Store” and “Shine a Light”. Veronica Sawyer dreams of better things. But Veronica’s “friends” are the cruellest girls in school and they take her under their wings. 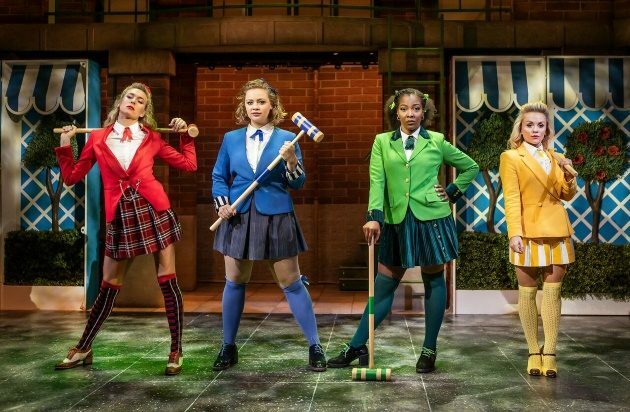 Based on the film from 1988, Heathers the Musical is a brilliantly funny and exciting adaptation. It was the first production of The Other Palace to transfer to the West End since its reincarnation from the St James Theatre early last year.